and reap the benefits sooner of your new or upgraded platform. Are you looking to move to the Office365? Upgrade to the latest version of Microsoft Exchange? Move to a hosting facility? There are always risks with change. Our Migration Services will bring our expertise and experience to make sure the risk is minimized and the project goes as smoothly as possible. Learn more about our assessment services: View our services catalog, or contact us for more information. The adoption of cloud technologies changes the landscape for many organizations. The question generally isn’t if an organization should migrate to the cloud, but rather what should be migrated and how. Organizations must benchmark their migration to prove out the timing, migration process and network and storage connectivity. It is also critical to pilot their migration on a predefined application set that validates the migration. 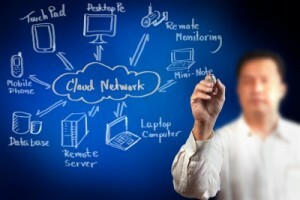 Have you made the decision to move services to the cloud? Is your cloud strategy a private cloud, public cloud, or a hybrid cloud? Zunesis offers cloud migration services into any of these models. We start this process by analyzing your current environment and strategies for cloud implementations. We start with a Cloud Workshop as the first step to build the use cases, strategies, priorities, and recommendations. We include the migration planning, management, and execution. Contact Zunesis today to get started! Many of our customers want to get out of the data center business and are looking to migrate to a hosted or shared location. This creates challenges in many areas and introduces risk to their critical data. If this is not done correctly, unplanned downtime and long outages can negatively impact a business. Many customers are re-evaluating their data center strategy, and choosing to move out of the “data center business”. This creates a challenge and risk for most customers. Zunesis has been involved in many data center migrations, both into and out of hosting facilities. Given the complexity of today’s data centers, you need partners that have done this before. We can help plan and manage the migration to help minimize the risks involved. Many of our customers are on older versions of email systems and need to migrate. With the introduction of the newer versions of Exchange and Office 365, now is the time to migrate to these new offerings. This can be a costly and time consuming project. Designing, implementing, and migrating to a new version of Microsoft Exchange can be a complicated and difficult proposition. Microsoft has introduced many new features in Exchange and with the introduction of Office 365, many of our customers are choosing to move email out to the cloud. Zunesis has the experience and can help design and size the environment, architect the new environment for resiliency, integrate into Active Directory and implement the solution. We can also help with the migration of existing users and email data into this new environment or Office 365, depending on your strategy and direction. Get started with Zunesis services today! Many of our customers have older servers or are running Microsoft Windows Server 2007 and need to migrate. With the announcement that Microsoft Windows Server 2007 is going end of life, now is the time to migrate. In conjunction with newer hardware, migrating can drive down costs and improve SLA’s. Whether you need to migrate to the cloud or just migrate to newer server technology, Zunesis has the expertise and experience to provide the planning, testing and migration services that saves your company time and money. Server migrations are more than just moving data. Our process will help you plan and perform these migrations while minimizing the risk. The adoption of new technologies has made storage and data migration a requirement in today’s business. Maximizing availability and performance during the migration is a requirement to any migration. This must all be done while minimizing risk and costs. Storage and Data migration can be a challenge for any customer. Moving from older to newer technologies or between different storage infrastructures is often a high risk, costly endeavor. This is a necessary process that must happen to allow customers to adopt new technologies. Zunesis can help reduce your risk and more efficiently manage your migration process. Reach out to Zunesis today to get started! Microsoft Office Applications are some of the most recognizable tools in the enterprise. Employees are seldom in a workplace without Word or Excel and over a billion people organize their day in Outlook. 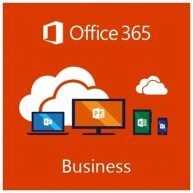 Zunesis is well equipped to help your business move to Office 365 in a cost-effective, efficient and seamless manner, transforming the way your organization does business and helping you reap the many benefits of Office 365. A migration to Office 365 has many phases that require expertise in the process, as well as technical consulting and support. Zunesis will work through these phases with minimal disruption to your business.